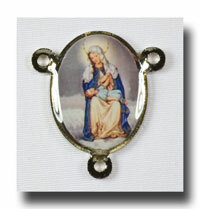 Two-sided full colour picture centre of Our Lady with the Archangel Gabriel asking Her to be the Mother of God (Annunciation). 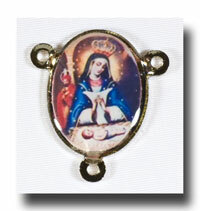 On the other side is Our Lady on a throne and Her crown is about to be bestowed (Coronation). 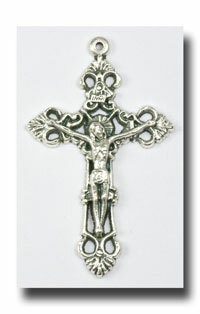 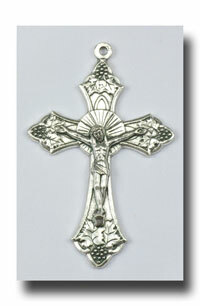 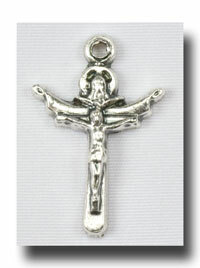 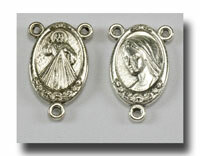 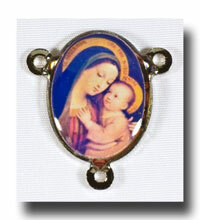 This is the perfect centre for a rosary as it has the first and last mysteries together! 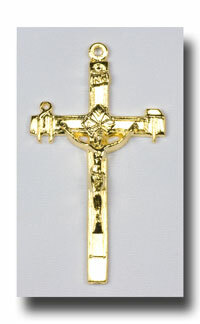 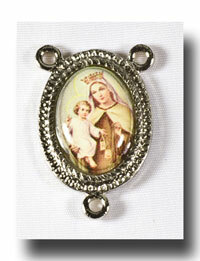 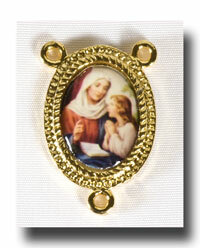 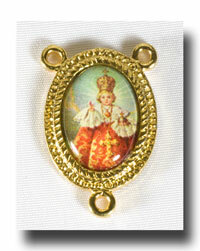 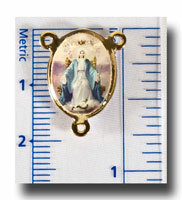 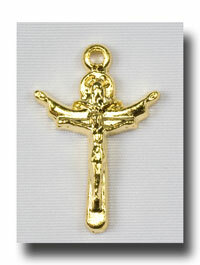 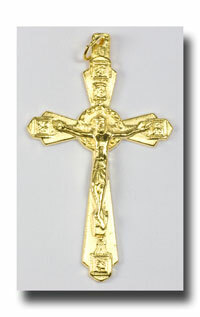 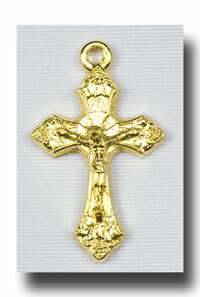 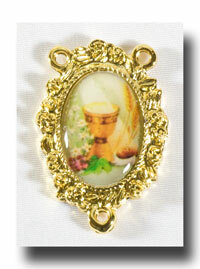 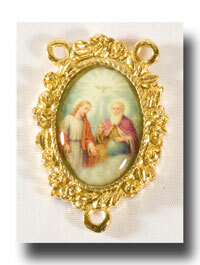 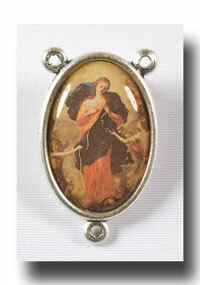 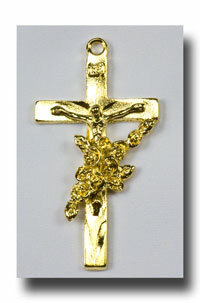 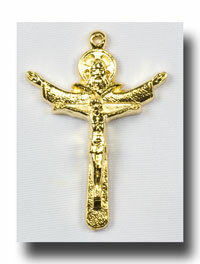 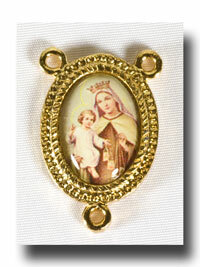 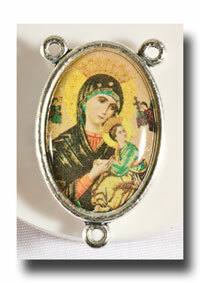 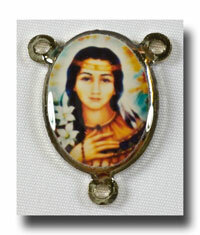 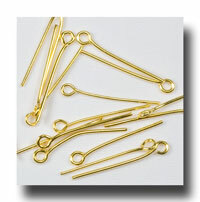 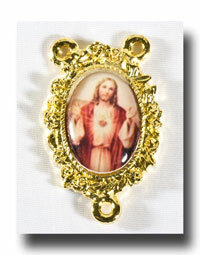 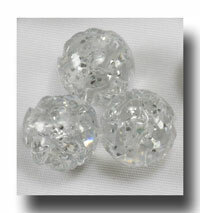 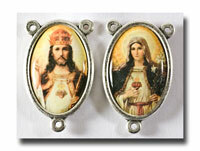 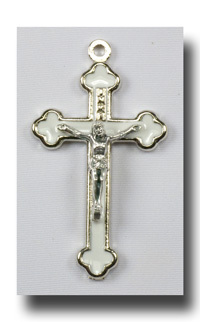 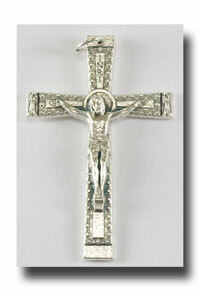 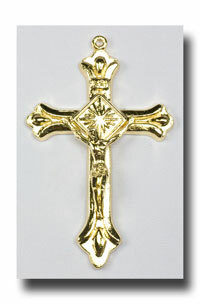 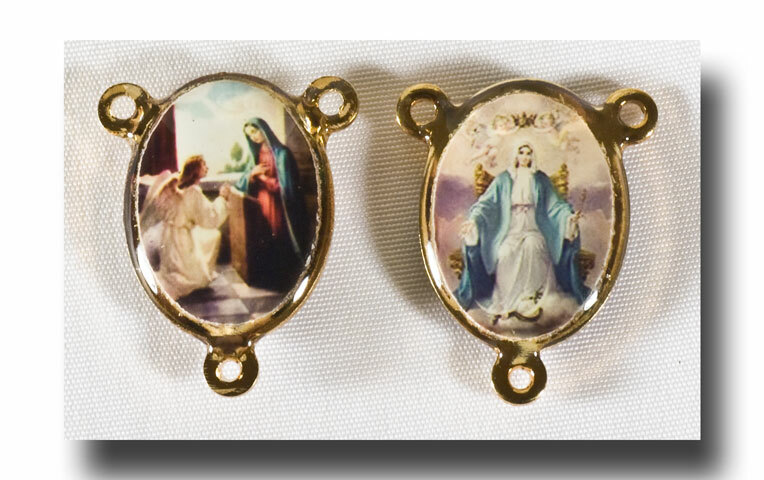 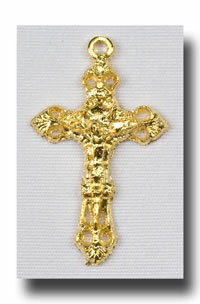 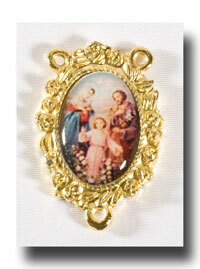 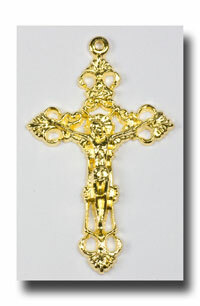 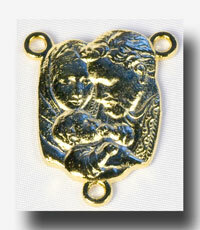 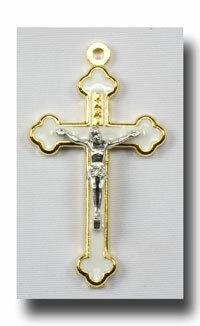 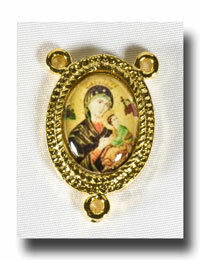 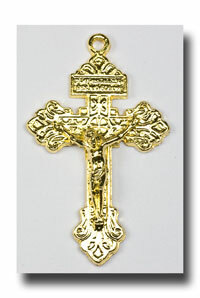 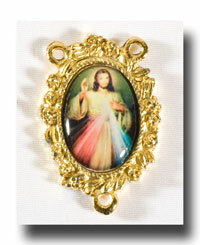 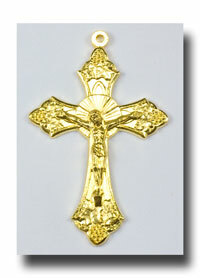 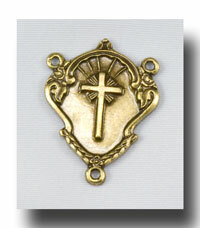 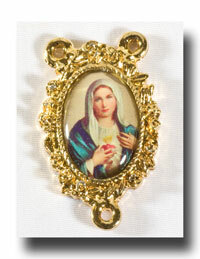 It is a 5/8 inch (16mm) centre on a gilt (gold-tone) lead free metal with a clear coating over the pictures.